Chicago, IL—The Terra Foundation for American Art today announced a broad slate of grants given in support of Art Design Chicago, a wide-ranging initiative the Foundation is spearheading to explore Chicago’s vibrant creative history and enduring influence on art and design. Following a board meeting on June 20, Terra leadership confirmed 33 grants for Art Design Chicago projects given to 31 cultural organizations located in and beyond Chicago, totaling approximately $2.5 million. Grant monies will go toward the creation of a diverse range of exhibitions, publications, projects, and academic and public programs, which will illuminate voices and narratives that were critical to the evolution of Chicago as a cultural epicenter of art and design movements globally. Art Design Chicago will take place throughout 2018, and a selection of highlights from the initiative are featured below. With consideration to the breadth and depth of the city’s art and design legacy, the Terra Foundation expanded its content parameters for grants to encompass projects about graphic, commercial and product design as well as film, in addition to those focusing on the fine and decorative art forms it most frequently funds. The broader grant guidelines for Art Design Chicago also provided opportunities for a wider swath of nonprofits to participate, in particular smaller, community-oriented organizations. Among the entities receiving grants in June, 15 are receiving Terra Foundation support for the first time. These include Bradley University, Chicago Design Museum, Chicago Parks Foundation, National Public Housing Museum, South Side Community Art Center, Ukrainian Institute of Modern Art, Video Game Art Gallery, and University of Chicago Center in Paris, among others. A comprehensive list of organizations awarded grants on June 20 also follows below. The grants announced today follow a series of earlier Art Design Chicago grants for scholarly resources and programs, exhibition research-and-development, and other project support given between 2013 and 2017, totaling more than $2.23 million. Organizations interested in developing public programming for Art Design Chicago have another opportunity to apply for funding through the application process currently open on the Terra Foundation’s website. The submission process will close in fall 2017, and the final round of Art Design Chicago grants will be announced in early 2018. All of the Art Design Chicago grantees were selected through an open application process, with submissions reviewed by Terra Foundation staff and external reviewers with expertise across a spectrum of art and design-related fields. Applicants were encouraged to examine in particular those individuals, movements, and happenings that have historically been underrepresented in cultural dialogue, keeping with Art Design Chicago’s overarching vision to reveal new scholarship and enhance understanding of the contributions Chicago artists, designers, and creative producers have made to the fine arts and the world of objects and ideas that surround us every day. Individual grants ranged from approximately $5,000 to $200,000, depending on the format, scope, and scale of the project as well as the applicant’s expressed need. Currently, Art Design Chicago is slated to feature more than 25 exhibitions and hundreds of public programs, presented throughout 2018. Additionally, initiative partners will produce several scholarly publications as well as a four-part documentary titled Show the World: 150 Years of Chicago Art and Design, which will air on PBS station WTTW. While the majority of Art Design Chicago activity will take place in and around Chicago, a few exhibitions are being originated at institutions outside the city and others are expected travel nationally and internationally, extending the experience and dialogues fostered by the initiative. Among these are The Imagist Object: New Dimensions in Chicago Art, 1964–1980, organized by Tang Museum at Skidmore College in Saratoga Springs, New York, and Charles White: A Retrospective, co-organized by The Art Institute of Chicago and the Museum of Modern Art in New York, which will also travel to the Los Angeles County Museum of Art. Change the Canvas, Change the World: A Landscape of Cultural Discovery: an exhibition organized by the South Side Community Art Center exploring the Black American art aesthetics of artists Dr. Margaret Burroughs, Elizabeth Catlett, Eldzier Cortor, and Allen Stringfellow. Opening in January 2018. Chicago 101: 101 Publications That Shaped Chicago and Its Image: a multi-author book, published by the University of Chicago Press and developed by the Caxton Club of Chicago, that examines 101 Chicago-focused texts that illuminate the diverse elements that have shaped Chicago’s identity and reputation. It includes numerous essays that address Chicago’s contributions to art, architecture, and design. Expected in fall 2018. Arte Diseño Xicágo: Mexican Inspiration from the World’s Columbian Exposition to the Civil Rights Era: an exhibition at the National Museum of Mexican Art that surveys Mexican travelers and immigrants’ early involvement in and influence on art and design of the industrial Midwest city. Opening in March 2018. Picture Fiction: Kenneth Josephson and Contemporary Photography: an exhibition organized by the Museum of Contemporary Art Chicago that examines the influence of Chicago-based artist Kenneth Josephson, who was an early and influential practitioner of conceptual photography. Opening in April 2018. Teen Printmaking Program at YOUmedia: a Chicago Public Library-sponsored initiative that includes a traveling printmaking workshop, accompanied by a youth-curated exhibition drawn from the Library’s impressive Special Collections and other collections in Chicago. June–December 2018. Sculpting a Chicago Artist: Richard Hunt and his Teachers: Nelli Bar and Egon Weiner: an exhibition charting the relationship between sculptor Richard Hunt and his teachers and fellow sculptors, Nelli Bar and Egon Weiner. Opening in July 2018 at the Koehnline Museum of Art. South Side Stories: a collaborative exhibition project comprising Rethinking Chicago Art, 1960 to 1980 organized by the Smart Museum of Art, and Holdings organized by the DuSable Museum of African American History. Together the exhibitions explore the cultural production and artistic legacy of Chicago’s South Side. Opening in September 2018. Hairy Who? : the first major survey solely dedicated to the influential group of artists known as the Hairy Who, to be shown at the Art Institute of Chicago. 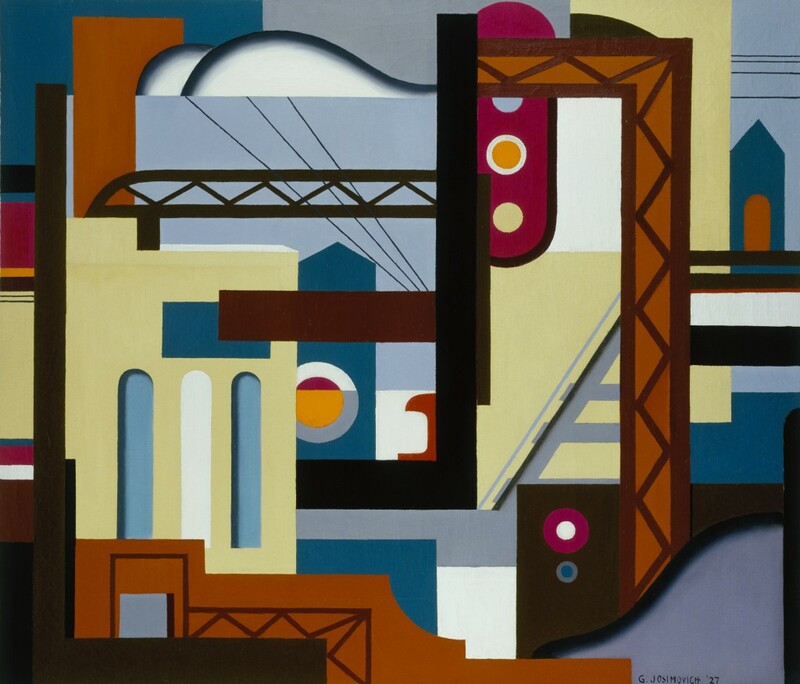 The exhibition will also emphasize Chicago’s contributions to American art history. Opening in September 2018. Someday, Chicago: Yasuhiro Ishimoto and the Institute of Design: an exhibition that examines the career and international influence of Japanese-American photographer Yasuhiro Ishimoto, who was trained at the IIT Institute of Design. Opening in September 2018 at DePaul Art Museum. Keep Moving: Designing Chicago’s Bicycle Culture: an exhibition organized by the Chicago Design Museum that examines Chicago’s unique role in branding and promoting American bicycle culture. Opening in October 2018. The Many Hats of Ralph Arnold: Art, Identity and Politics: an exhibition that highlights the photo-collage art of Chicagoan Ralph Arnold and its relationship to issues of race, gender, sexuality, and mass media, organized by the Museum of Contemporary Photography at Columbia College Chicago. Opening in October 2018. African American Designers in Chicago: Art, Commerce, and the Politics of Race: an exhibition at the Chicago Cultural Center organized by the Chicago Department of Cultural Affairs & Special Events that explores how African American designers in Chicago defined a role for themselves in the design professions by working across media and disciplines. Opening in October 2018. Participatory Arts: The Legacy of Chicago’s Hull-House Artists: a series of public programs, including panel discussions and artist-led workshops, organized by Jane Addams Hull-House Museum that explore the impact of Hull-House artists and the Hull-House art program in Chicago and beyond. Starting in October 2018. Chicago New Media: 1973–1992: an exhibition, a series of public programs, and scholarly convening organized by Video Game Art Gallery, surveying Chicago’s early and under‐recognized contributions to the field of new media art. Opening in November 2018. The comprehensive slate of exhibitions, projects, and programs currently confirmed for Art Design Chicago is available at artdesignchicago.org. This website will continue to be updated as more details are confirmed. Art Design Chicago is a wide-ranging initiative to explore the breadth of Chicago’s role as a catalyst and incubator for innovations in art and design. Spearheaded and funded by the Terra Foundation, with significant support from The Richard H. Driehaus Foundation, Art Design Chicago was developed in partnership with more than 50 cultural organizations to celebrate Chicago’s artists, designers, and creative producers. Focusing on the period between the 1871 Great Chicago Fire and the turn of the 21st century, the initiative reveals little-known narratives of ingenuity and perseverance and provides new insights on Chicago’s enduring influence on fine and decorative arts, graphic and commercial design, product development, and film. Art Design Chicago will feature more than 25 exhibitions and hundreds of public programs, presented throughout 2018, as well as the creation of several scholarly publications and a four-part documentary. Together, these activities shine a light on Chicago’s art and design legacy, and its continued impact on contemporary practice. Since it was established in 1978, the Terra Foundation for American Art has been one of the leading foundations focused on the historical art of the United States. Headquartered in Chicago, it is committed to fostering exploration, understanding, and enjoyment of American art among national and international audiences. To further cross-cultural dialogue on American art, the foundation supports and collaborates on innovative exhibitions, research, and educational programs. Implicit in such activities is the belief that art has the potential both to distinguish cultures and to unite them. The foundation also provides opportunities for interaction and study through the presentation and ongoing development of its own art collection in Chicago, recognizing the importance of experiencing original works of art. Through strategic philanthropic partnerships, The Richard H. Driehaus Foundation seeks to improve Chicago’s built environment, support cultural stewardship in the arts, strengthen democracy through investigative journalism, and advance economic opportunity for the working poor. The Foundation believes that the arts play an essential role in the cultural life of Chicago. They provide entertainment, stimulate our imagination, challenge our perceptions, and encourage us to reflect upon our distinct traditions and our shared humanity.